I am sitting in the lobby of a small hostel in the middle of Spain. A wrinkly, sun-tanned man is fixating me with his eyes, smiling aware of the absurdity of his question. He is sitting across the room and his head is leaning against the stone wall. It is only 5 o´clock in the morning, but everybody is getting ready to continue their path to Santiago de Compostella. „I was born in Germany.“ is my quick reply. It is confusing and disturbing to imagine that this tiny detail of your life – your birth place – is setting the basis for your future. Poor or rich, loving parents or no parents at all, fear or support, violence or protection. Suddenly I feel guilty for my heritage. Buried in tiredness and deep thoughts I am staring down the hallway. My friend starts to walk out of the lobby and onto the road and I follow her, having my upper body still leaned towards the old man´s direction. His reply comes quickly and friendly: “I don´t know. We´ll see what the future brings.” I wave at him and he waves back. I have never seen him again. He did not tell me his name. I did not tell him mine. We did not know each other and yet it feels like I knew him for ever. Sometimes it is those coincidences that stay in your mind for ever. The sailor, old wrinkly man, father of 8 will be my friend. For ever. Beginning a new year lets many people rethink their past year and everything that has happened. So much has happened in 2012! January – I came back from Argentina and with this last flight back to Germany my long planned world trip ended. It still feels unreal thinking about it and sometimes I can only believe I have been travelling because I am on certain pictures in Angkor Wat or Borneo! Wow! AND: I quit my job that was on hold for me during my year off. March – Visit to Sweden and seeing the winter wonderland there. The dark period of the year was finally over, but the snow was not yet gone. The sun was shining and we could sit outside, drinking hot tea in the snow. April – My mom turned 50 and had a big party with friends and family. How nice to see everybody!! 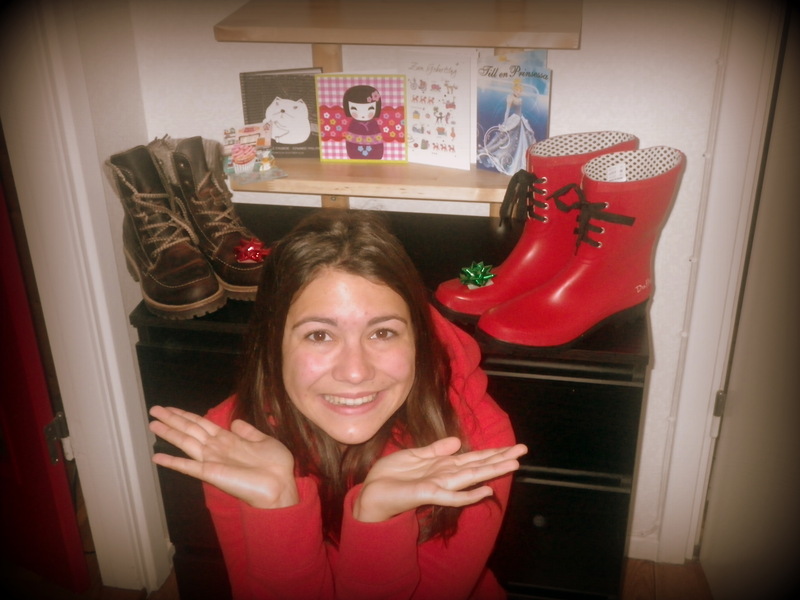 I renovated my apartment, which I had rented to a girl during my worldtrip. I sold my furniture and pretty much everything else. One thing I have realized: You don´t need much to be happy. May – We got visitors from the US! I love to keep in touch with international relatives. This time they came because my stepdad was very very sick. He had to stay in the hospital for half a year. 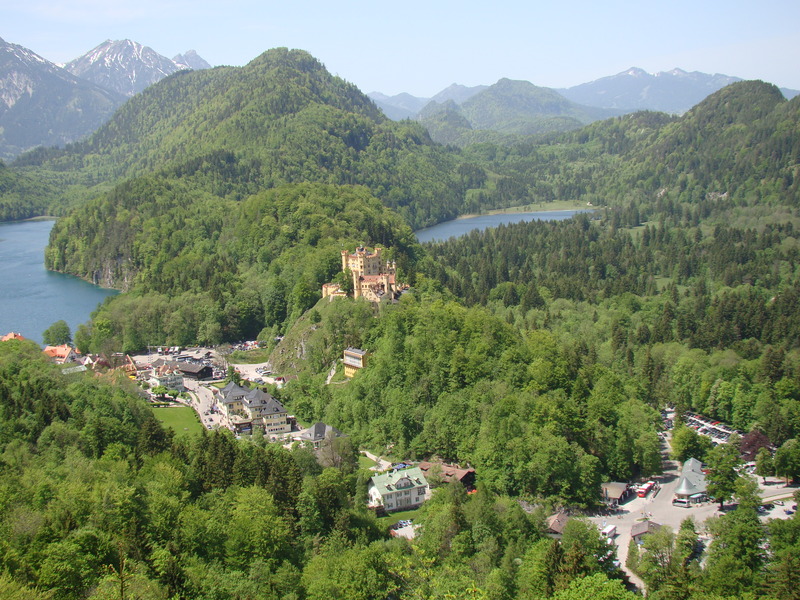 The time between the hospital visits was well used and I showed them around Bavaria. 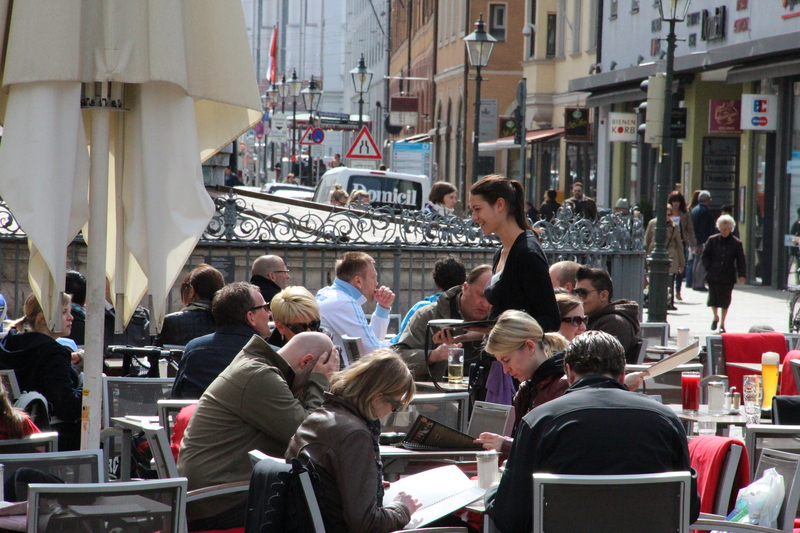 June – My dear friend Robert from Canada came on his Eurotrip to visit us in Germany! And we took a roadtrip down to Italy to visit one of his friends there. It is hard to believe, that we actually met on the couchsurfing plattform. Now we have been friends for about 2 years! July – A spontanious hike. For about 400 kilometers in 3 weeks. 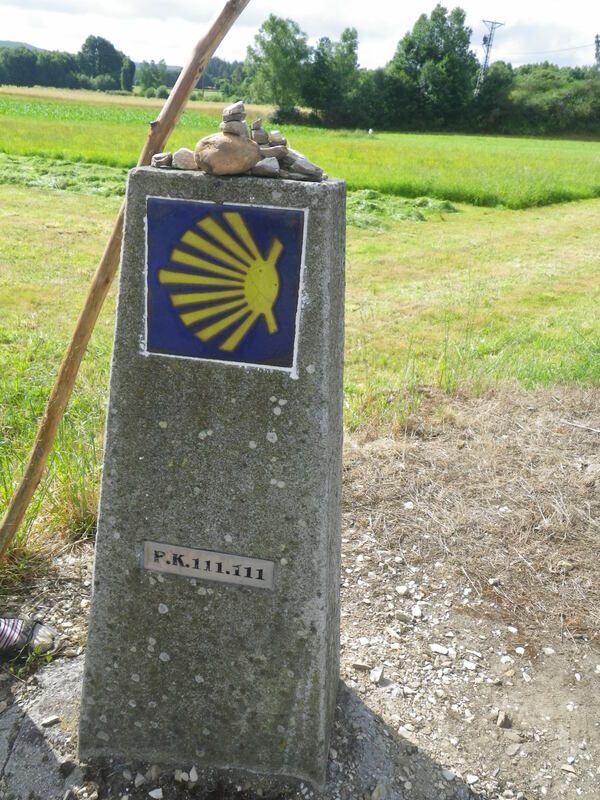 A friend of mine was planning on walking from Bilbao to Santiago de Compostella and I decided to join her on her way. It was 3 weeks of nothing but pain and walking. Always putting one foot in front of the other. Best people met in July: Leslie and Jaime from Holland who showed us that it is all a matter of the right mindset. 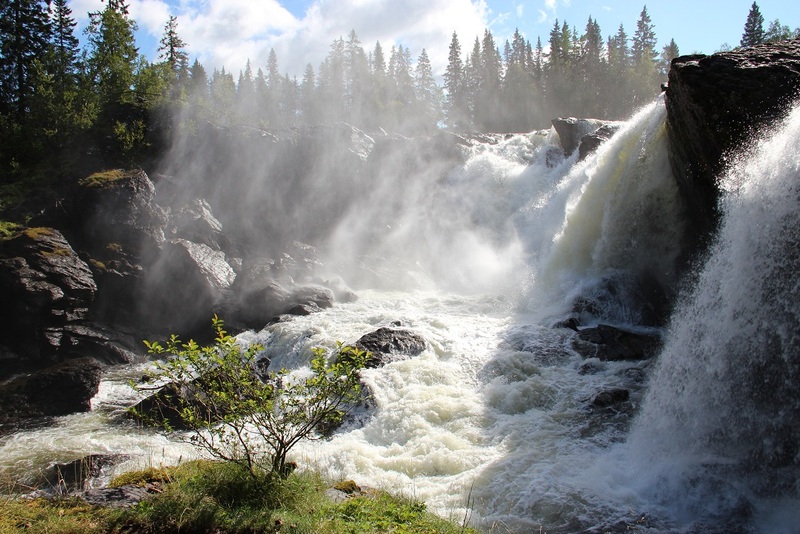 August – Short visit to Oslo right from Spain! PLUS: I am moving to Sweden!! Once more I had to say good-bye to my friends and family and to leave for a new adventure: A Master Program in Sweden. I was so lucky that the university accepted me and everything went well. 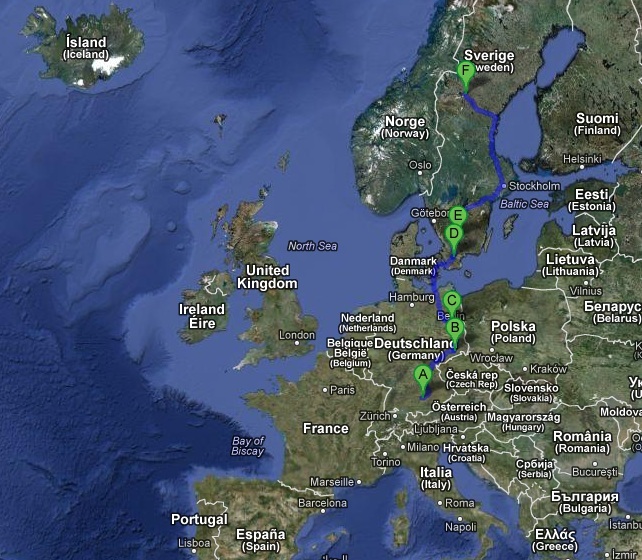 I drove my little car up to Östersund in a 2 weeks road trip – 3000 km. September – Start of my program. The University organized amazing introduction weeks for all international students and I got to meet so many new friends! We found the perfect apartment and were able to move in and feel right at home! We discovered our new home by foot and took several hikes through the highlands – stunning. October – I turned 24 and got birthday cards from all over the world 🙂 Thank you so much! I was accepted to the Swedish course and was studying Swedish about 4 times a week. November – My Swedish was going better and better and I have found some Swedish friends as well. This month is one of the darkest months in Östersund and we all are waiting for a big load of snow to brighten up our lives!! December – We spend most of our December decorating the apartment, baking cookies and cakes, inviting friends over for a coffe or hosting couchsurfers. It was a cozy time in Östersund. 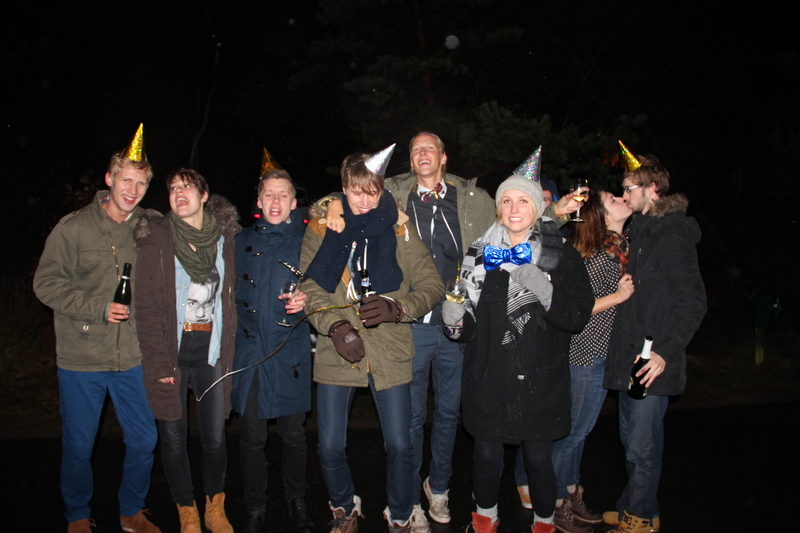 Then I got to spend christmas at home and Germany and had the best new years ever in a cottage in southern Sweden with 10 amazing people.